It's foraging time! The hedgerows are full of succulent fruits and berries and the fields ripe with toadstools and mushrooms. It's time to get out there and benefit from nature's free gifts. Yesterday I stocked up on blackberries and elderberries. The recent warm and wet weather has swelled the fruits, and within a short while I was able to fill a container with blackberries, while elderberries are now opening and hanging from the trees in abundance. 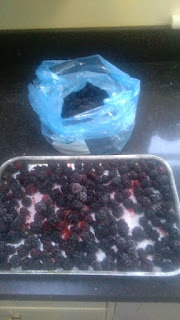 If you are going to freeze your blackberries for later use in pies puddings and jams, then it is best to open freeze them on a baking tray and then bag-up in airtight bags before returning to the freezer. The blackberries will keep in the freezer for at least 12 months. 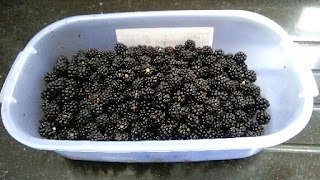 I froze half of my pickings yesterday, with the rest destined for a home-made Elderberry and Blackberry Cordial. Elderberries on their own offer a rather flat taste as a cordial, but if mixed with blackberries they have a rich autumnal flavour that's lovely topped up with boiling water for a hot toddy on a chilly evening. 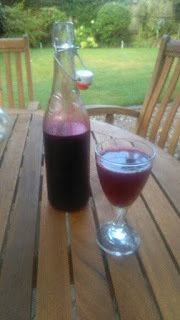 Alternatively, topped up with sparkling water the cordial makes a pleasant summer drink. 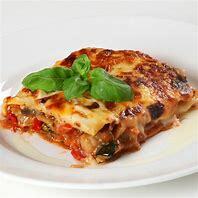 Why not make some this week - I did! Put the elderberries in a preserving pan or a large saucepan with the blackberries and 150ml of water. Heat gently, covered with a lid, for 6 minutes or until the juices run freely. Leave to cool for about 5 minutes or so and crush the fruit with a potato masher or the back of a large spoon. Pour the juice and sugar back into the pan with the lemon juice and cinnamon. Stir, then heat gently until the sugar dissolves, then bring back to the boil and boil for 1 minute. Discard the cinnamon stick, skim off any scum from the surface, stir in the citric acid, and pour immediately into warm sterilized bottles. Seal, label and leave to cool, then store in the fridge. Shake before use and there it is! I'm half way through the first bottle. Once opened, use the cordial within two weeks. It's delicious!